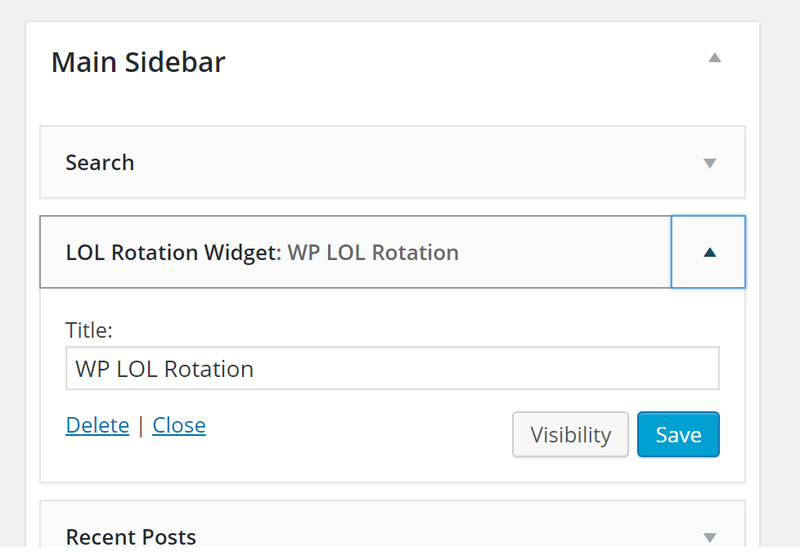 WP LOL Rotation WordPress Plugin by WordPress development legend Ozh Richards is great for anyone looking to create a League of Legends oriented site. It allows you to display the current free champions available for a summoner (League of Legends players). This Plugin creates a widget that updates automatically with the weeks free champions. This is a great Plugin for admins who are hoping to inform a fellow League of Legends player of who they can play free this week. Sites like mobafire use widget similar to this one to help reader stay informed on who is free or entice a reader to try a champion previous unavailable to them. After activating it, you can go to Dashboard>Appearance>Widgets and dragging it into the Main Side Bar to have it display on your site. This is what WP LOL Rotation looks like in the Widgets Menu.